There were over 200 people that entered for a free copy of The Rescue of Elizabeth Bennet! Congratulations to the three winners which were drawn by a random number generator. The winners were emailed already and have a link to download their copy! Woohoo! 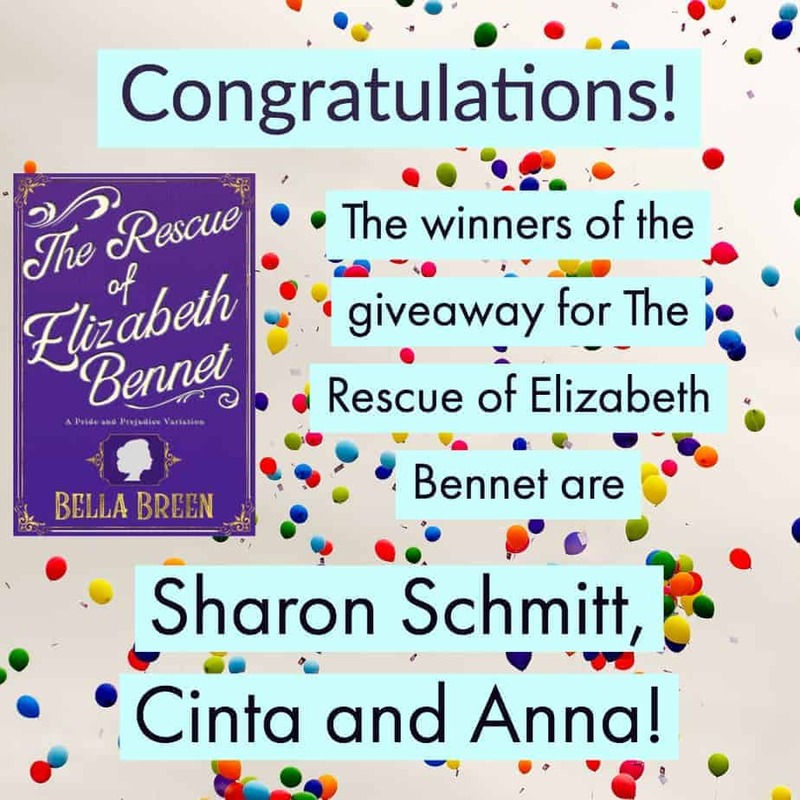 Previous: Previous post: Enter to Win a copy of The Rescue of Elizabeth Bennet!